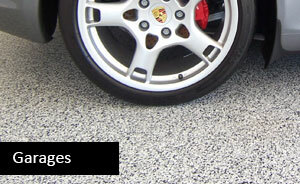 Looking for an epoxy flooring solution for your garage floor surface? We have installed many different kinds of epoxy floor coatings to garage floors throughout Southwestern Ontario. From London to Kitchener to Hamilton, and many other communities in the Niagara, St. Catharines region, we have brought new life to old cracked and drab floors. At Diamond Rock Concrete Solutions, we use 100% solid epoxy for garage floors, to create a tough tight barrier to protect against salt, fluids, and everyday wear and tear. Prior to decorative finishes or epoxy applications, we use a dust free industrial grinder to prepare your concrete floor. The diamond blades of the grinder slowly smooth and prepare the garage floor for maximum adhesion. Any cracks or defects found are filled in before any coating is applied. The entire job takes us up to two days. Within 24 hours after completion you can bring your vehicle(s) back in. We do not use any toxic chemicals throughout the entire process. When completed, epoxy floor coatings are durable, waterproof, and chemically resistant. Colors & Finishes – There are many solid colours, textures, stains and dyes to choose from. From high gloss finishes to textured finishes that are less slippery, we can turn your garage floor into a vibrant and easy to clean surface. 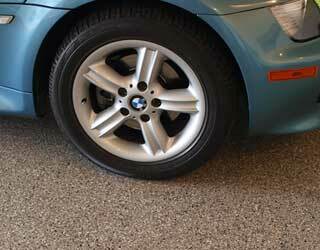 Epoxy floor coatings for garages is growing in popularity all across Southern Ontario because of the many benefits. 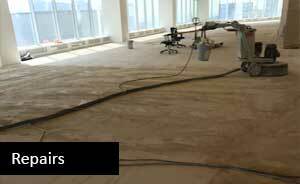 Durability – Concrete floors coated in epoxy last many years. 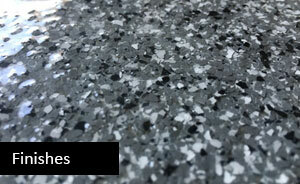 They are simply the most durable floors that resist daily wear. Tough – Epoxy floor coverings are chemically resistant making them an excellent choice for manufacturing plants. Attractive – With a variety of colors and styles you have many options including decorative patterns, flakes, glitters and much more. Maintenance – Epoxy floor coatings are easy to clean. Grease, dirt, dust wipe off easily as the surface is non-porous. Safety – Epoxy coatings are resistant to slippage, impact, heat and fire. The high gloss coating option can also significantly improve lighting in your facility. Environmentally Friendly – Epoxy coatings are a green option as additional flooring materials are not required.